Two side-by-side test homes were set on fire. One burned, the other endured. Researchers have been working around the clock trying to figure out a solution to the devastating wildfire problem that has destroyed more U.S. homes and buildings in the last year than ever before. 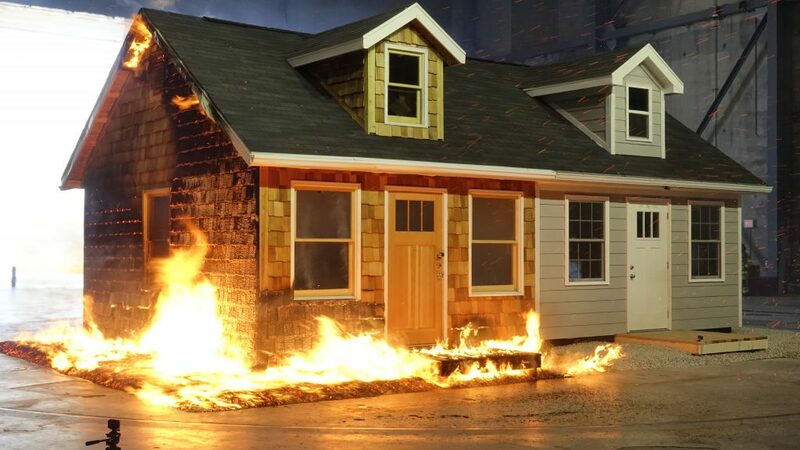 In an experiment conducted by the Insurance Institute for Business & Home Safety (IBHS) Research Center on March 6, the problems lit up while the solutions stayed flame-free. With some simple and affordable home fixes, homeowners can better protect their properties against wildfires. This could be an alternative solution for those who are struggling to find coverage or can't pay expensive insurance premiums. What made the difference? Simply enough, it was mainly landscaping and siding. The home that was more fire-resistant was constructed with fiber cement composite shingles instead of wood shingles. The more traditional home was surrounded by bark or wood-based mulch, while the fire-resistant version had rock landscaping in its place. Construction matters too. Open eaves for the standard build made for a more vulnerable home while closed helped to protect against fire. Windows also impact a home's fire resistance—dual-pane tempered screens protected against flames while single-pane windows with no screens can easily break during a wildfire, allowing embers into the home where they can ignite. And don't forget the deck! Standard spacing is not the way to go. The home with increased joist space and bitumen—a material used for roofing and road surfacing—on the joists fared better. "During 2018, wildfire caused more loss of life and more property damage than any other weather-driven peril in the U.S., including two major hurricanes," said Roy Wright, CEO and president of the IBHS, in a statement. "These wildfires are becoming far more severe. Yet there are practical steps that can be taken by individual property owners, community planners, and state and federal leaders to reduce our collective risk from wildfire and make our neighborhoods safer and more resilient. Without question, building resilience against wildfires requires full engagement from all of these stakeholders and an all-of-the-above approach to actions they can take," he added.